WikiLeaks And More; Can You Handle The Truth? Pentagon Returns Wikileaks Suspect To U.S.
"U.S. Army officials transferred PFC Bradley Manning from the Theater Field Confinement Facility in Kuwait to the Marine Corps Base Quantico Brig in Quantico, Virginia, on July 29," Major Bryan Woods, an Army spokesman, said in a statement e-mailed to reporters. Preliminary charges were filed against Manning back on July 5 in connection with the leak of a classified video to Wikileaks depicting the killing of a Reuters photographer by U.S. forces. He was also charged with leaking more than 50 diplomatic cables and downloading more than 150,000 of them in violation of military rules. At least some of that material seems to have made it to Wikileaks, though the web site's founder Julian Assange has said it does not have the larger cache. Military officials said this week that Manning is now a "person of interest" in the highly-publicized leak of the Afghanistan reports--a leak which top Pentagon officials have said could result in the deaths of U.S. soldiers or Afghans. "Manning remains in pretrial confinement pending an Article 32 investigation into the charges preferred against him on July 5. Manning was transferred because of the potential for lengthy continued pretrial confinement given the complexity of the charges and ongoing investigation," Woods said. Assange has called Manning a "political prisoner" and compared his detention outside the U.S. to the detention of terrorism suspects at Guantanamo Bay. Mr. Gates said the documents’ disclosure had prompted a rethinking of a trend nearly two decades old, dating from the Persian Gulf war of 1991, of trying to make intelligence information more accessible to troops in combat situations so they can respond rapidly to developments. Military officials have said that Army investigators also consider Private Manning a “person of interest” in the investigation into the Web site’s most recent disclosures. They said Thursday that he was being moved from Kuwait to Quantico, Va., where he would remain in military confinement as he awaits further judicial steps. WikiLeaks shared the documents with publications in Britain, Germany and the United States, including The New York Times, before posting them this week. Julian Assange, an Australian computer specialist who founded WikiLeaks, has described the project as a form of journalism that seeks to protect whistle-blowers and enhance democracy by making public information that government officials would rather keep secret. In a series of media appearances and interviews this week, he has defended the latest release as providing an unvarnished portrait of problems with the war in Afghanistan, while saying that his organization had held back about 15,000 documents for safety reasons. “Mr. Assange can say whatever he likes about the greater good he thinks he and his source are doing, but the truth is they might already have on their hands the blood of some young soldier or that of an Afghan family,” Admiral Mullen said. Mr. Gates said the military was taking steps to protect some Afghans identified in the documents, but he declined to specify them. He also declined to comment about the investigation beyond noting that he had enlisted the Federal Bureau of Investigation to assist Army investigators, a move that is seen as a precursor to potentially charging people who are not uniformed service members. A person familiar with the investigation has said that Justice Department lawyers are exploring whether Mr. Assange and WikiLeaks could be charged with inducing, or conspiring in, violations of the Espionage Act, a 1917 law that prohibits the unauthorized disclosure of national security information. A version of this article appeared in print on July 30, 2010, on page A8 of the New York edition. Shocking allegations have surfaced that link the Oscar winner, George Clooney’s Italian girlfriend to the bust of a drug-and-prostitution ring at two of Milan’s hottest clubs. Barbie Latza Nadeau reports. Need to know about the newest camera offerings from Fujifilm, Panasonic, Samsung, and Sony? Keep track of all the fall camera announcements here. A key part of Arizona's immigration law was temporarily blocked by a federal judge Wednesday. 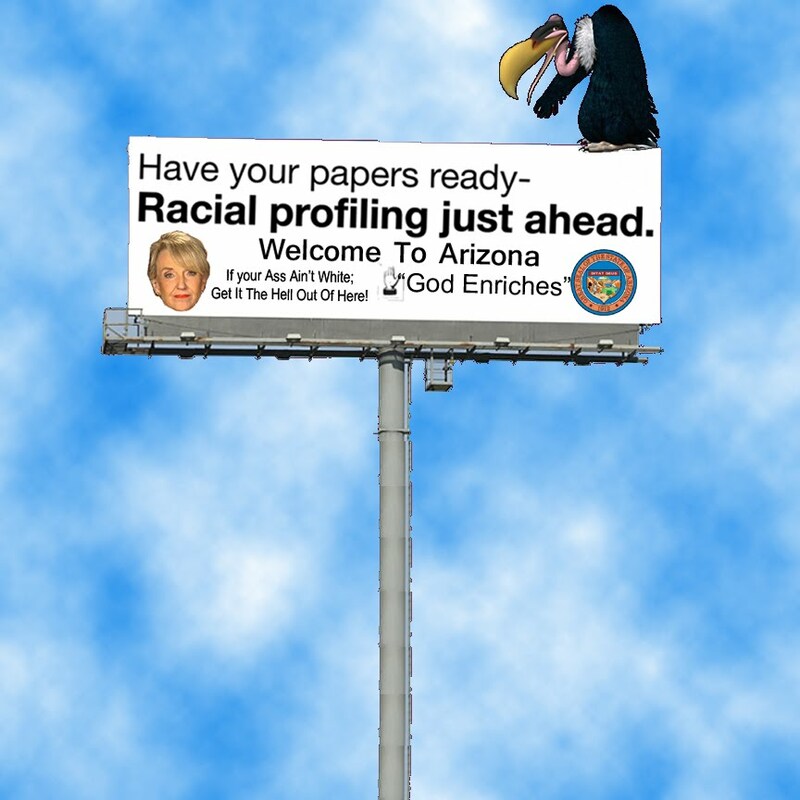 For now, police won't be able to question people about their immigration status. For many businesses, the damage from the controversy is already done. Reduced spending in restaurants, grocery and retail stores has triggered a domino effect among businesses in the metro Phoenix business community and throughout Arizona. · What's next for the Arizona immigration law? Phoenix, Arizona (CNN) -- Jairo Tellez's seafood distribution business is a family affair. In the industrial warehouse that houses J and V Mariscos on the west side of Phoenix, his wife, Vicki, and four of his seven children load trucks, take phone calls, enter data and help care for his infant grandson, who has a playpen in Tellez's office. But with portions of Arizona's controversial immigration enforcement law set to take effect Thursday, the business is in limbo. "If people are not eating, we're not selling," said Wendy Cisneros, a family friend who works in the back office. "We've lost 60 percent of sales, and right now the future's uncertain. We don't know if we're going to stay in the state; we don't know if we're going to close the business. Everything's up in the air." Most of their clients cater to the Latino community, which has effectively gone into hiding amid concerns that they may have to leave the state as soon as the bill becomes law, Cisneros said. A key part of Arizona's immigration law was temporarily blocked by a judge Wednesday. This means police won't be required to ask people about their immigration status. Toobin: What does Arizona immigration ruling mean? But for the Tellez family business and others like it, the damage from the controversy already is done. Reduced spending in restaurants, grocery and retail stores has triggered a domino effect among businesses in the metro Phoenix business community and throughout Arizona. To stay afloat even as their clients disappear or reduce inventory orders, the business has reduced employees' hours and cut back operations in the industrial warehouse, home to several large freezers and forklifts and an office sparsely decorated with posters of illustrated fish and cuts of meat. Perhaps the toughest decision was to halt lines of credit to customers, even those with good history, she said. "We can't really offer credit anymore because we don't know if next week they're going to close the business," Cisneros said. "But it's also a downside because some customers need that credit to operate." Firm numbers illuminating the economic fallout of SB 1070 are hard to come by as the bill has yet to take effect. Also, summer tends to be slow for business and tourism in Arizona because it's so hot. But anecdotal evidence from business owners, real estate agents and community leaders indicates the mere specter of the bill has created a culture of fear among Hispanics in Arizona that's slowly paralyzing sectors of the economy. Hispanics make up 30 percent of the state's population. The state's unemployment rate in June rose for the third month in a row, to 9.7 percent. Gov. 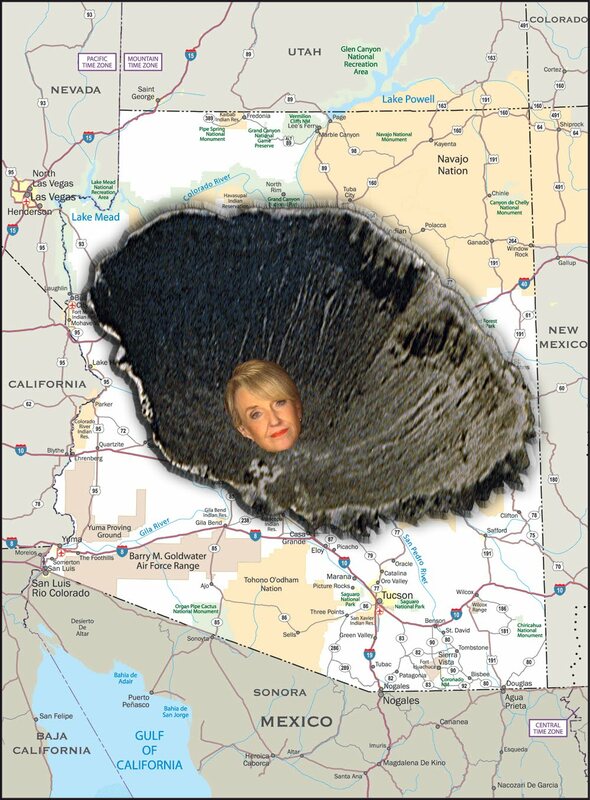 Jan Brewer signed the bill in April. Traditionally, community groups look to indicators such as the housing market, school enrollment and data from utility companies to track economic fluctuations within a certain group, said Edmundo Hidalgo, president and CEO of Chicanos Por La Causa, a community outreach program in Phoenix. Based on feedback from clients and preliminary data, Hidalgo said his group estimates that rental vacancies in predominantly Latino neighborhoods will be 10 to 15 percent higher than the normal rate of 12 percent. "People are scared, and they don't want to wait around to find out what's going to happen with SB 1070," said Hidalgo, whose group offers housing, economic and education services to low-income families and individuals, both undocumented and U.S.-born. "Regardless of their status, people are frustrated with an environment that's not accepting and potentially threatening, and they're fed up with being targeted and singled out by law enforcement. It's driving them out of the state, and not necessarily to better situations." The Arizona housing market, which was already suffering from one of the highest foreclosure rates in the country, has also taken an extra hit since the passage of the law, according to real estate agents who spoke with CNN. Some homeowners who purchased property in the past year are looking to unload, according to Saul Pua, a real estate agent who sells residential properties in neighborhoods in Phoenix's Latino communities. "Most families usually have one person who doesn't have papers, and they don't want to risk being arrested and splitting up the family by staying in Arizona," said Pua, who is married to one of the daughters of Tellez, the owner of J and V Mariscos. Even during the recession, Pua said business was good because property was cheap, and that in better times, he closed an average of five transactions a month. Since the beginning of the year, however, he has been lucky to sell two properties in a month, and in July, he hasn't closed a single deal. "I had investors buying properties, but now's who gonna rent them?" he said. Commercial real estate developer Michael Pollack was in the same situation leading up to Wednesday's ruling. Since April, clients in predominantly Latino neighborhoods across the state had been pulling out of properties or calling to relay concerns over whether they should stay if the law goes into effect. Today, Pollack said he received several calls from clients expressing relief and letting him know they intended to stay. "The ruling today has definitely been a move in the right direction for commercial tenants and their customers, who've been scared that Arizona wasn't going be friendly to Hispanic community," he said. "This gives the federal government to get to work implementing an immigration policy that the American people will support unanimously and deals with the situation at the border, which is where the real problem is." Phoenix's sprawling concrete landscape bears testimony to the abundance of vacant residential and commercial property. "For sale" signs in English and Spanish adorn brown, sun-scorched lawns and dilapidated parking lots alike, from the heart of downtown Phoenix to as far as Chandler and Mesa -- the district of SB 1070's sponsor, Republican Sen. Russell Pearce. Boarded-up big-box stores loom large in their vast emptiness, and rows of abandoned strip mall storefronts outnumber those that are occupied in some parts. Not only businesses targeting the Latino community are suffering. Economic boycotts adopted by other states and cities have hit Arizona's meeting and convention business. Since groups nationwide began announcing boycotts of the state because of SB 1070, at least 40 meetings have been canceled. That's resulted in the loss of $12 million in lodging alone, according to Kristen Jarnagin, spokeswoman for the Arizona Hotel & Lodging Association. Summer is typically the low season, she noted, and pointed out that tourism was up 8 percent statewide in June 2010 compared with June 2009, which was one of the "worst summers ever" because of the recession. Despite that slight uptick, more telling is the lack of inquiries for future bookings, she said. "What we're hearing from meeting planners now is they won't and can't consider Arizona for 2011, 2012 meetings not necessarily because of their own stance on SB 1070 or the boycott but just because they want to avoid the controversy and don't want to risk losing attendance," she said. The absence of meetings and conventions not only affects the hotel industry and its 200,000 employees, but also ancillary businesses such as restaurants, retailers and taxis, Jarnagin said. It seems that not even fast-food joints are immune to the encroaching economic fallout of SB 1070. As the four Tellez children stood with their parents in their office Wednesday, recounting tales of friends and relatives who have left town or seen families torn apart, daughter Nikki noted her surprise at seeing a shuttered Burger King. "I was driving down Camelback with my dad and Burger King was closed, and I was like, when have you seen that? Like Burger King -- everybody goes to Burger King, and that was closed down." More Often Than Not Secrecy Is Not The Shield Of Security But The Incestuous Sister Of Corrupt Corrosive Criminality. Is Wikileaks the Pentagon Papers, Part 2? Parallels, and differences, exist. Who is the 22-year-old Army analyst at center of WikiLeaks firestorm? WikiLeaks Diaries Raise Question: Is Secrecy Dead? The Wikileaks revelations about the conduct of the war in Afghanistan have been rightly hailed as a triumph of "data journalism." Whenever big news breaks that's both (a) exciting and (b) relevant to the stuff I research, I put myself through a little mental exercise. I pretend I have. DailyWireless.org covers current developments in broadband wireless, including WiMAX, LTE, WiFi and mobile aps. Online since 2002, with nearly 10000 in-depth articles, we also cover social impact of 5 billion mobile users. Isn't it great that NATO reports are placed on Wikileaks now, so the NZ Minister of Defence can get fuller details of what NZ Forces in Afghanistan have been. In early 1968, the Viet Cong and North Vietnamese Army launched a major offensive across South Vietnam. The US embassy in Saigon was breached. The imperial capital of Hue was overrun. Eventually, US. 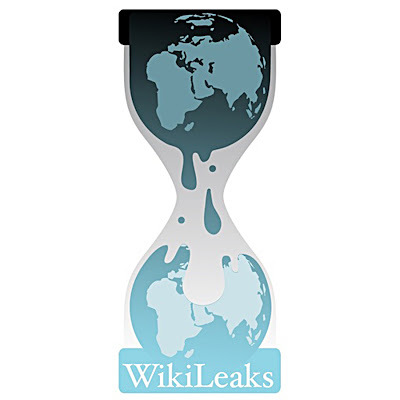 WikiLeaks: Freedom of Speech or Security Breach? Wikileaks Afghan files: Is this US soldier behind leak of military secrets? Should Wikileaks' release of war logs be prosecuted under US laws? Wikileaks says no doubt about the reliability of documents "
Did Wikileaks Cross the Line? What will be the consequences of the greatest government leak since the Pentagon Papers? The historical importance the Pentagon Papers far outweighs the likely impact of the new Afghanistan documents. Does Disputed NATO Attack in Afghanistan Underscore WikiLeaks Report? Today, the "most dangerous man in the world" may be Julian Assange of WikiLeaks. But as a stateless and office-less news organization operating in cyberspace, WikiLeaks is almost untouchable. Like other Aussies we can think of, the muckraker behind WikiLeaks is a swashbuckling idealist -- only his weapon is keystrokes instead of a sword. Pakistan decries WikiLeaks release of US military documents on Afghan war. Obama and his advisors are still looking at Afghanistan as a problem to be solved, or a high-stakes poker match, a deadly game of raises and bluffs. But what if Afghanistan is none of these? What if we're playing the fool? After rocking Washington with the release of secret military documents, site founder Julian Assange says documents on BP are coming soon. The recent flood of classified Afghan war documents via Wikileaks points to poor government decision-making, but there's a warning here as well. Who the heck is WikiLeaks? WikiLeaks Documents Go Public: Where Should Journalists Draw the Line? Virginia M. Moncrieff: Wikileaks - After The Gold Rush, What Then? The Huffington Post Full Blog Feed - http://www.huffingtonpost.com/theblog/OpEdNews - Article: WikiLeaks "Afghan War Diaries"
A powerful indictment of an illegal war and daily crimes of war and against humanity, mostly against civilians. Can the recent release of classified documents actually make American people hate the war more? Thousands of leaked classified documents published by WikiLeaks.org have given a rare glimpse into some operations on the ground in the Afghanistan war. US military reports leaked by Wikileaks show instances in which US forces saw signs of the al-Qaeda chief in Pakistan. LONDON — WikiLeaks' editor-in-chief claims his organization doesn't know who sent it some 91000 secret US military documents, telling journalists that the Web site was set up to hide the source of its data from those who receive it. Wikileaks impact on India-Pakistan talks? WikiLeaks comes out of its rabbit hole for another coup—could it be the next Pentagon Papers? 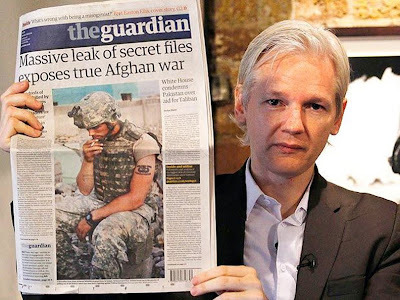 Julian Assange is at it again: Wiki-Leaked War Files Expose Identities of Afghan Informants Hundreds of Afghan lives have been put at risk by the leaking of. If a stray Hellfire missile were to knock out a subdivision in Michigan while in pursuit of the very same terrorists that we appear to be after in Afghanistan, where would we draw the line of necessity? It's always titillating when confidential documents are leaked. But as embarrassing as the recentWikileaks revelations may be, there is little news that is damaging. How much does the Taliban pay for opium? How many insurgents are in jail? What if WikiLeaks had existed in World War II? The "incident reports" would have been shocking. A return to silence in a post-WikiLeaks world? Valor Thieves: Should Faking Military Honors Be Illegal? And as the brass is learning the hard way, when information really wants to be free, there's a guy atWikiLeaks who can help. WikiLeaks fallout: Tighter access to US secrets? Washington D.C., July 27, 2010 – At 4PM EST on July 27, the Bradley Manning Support Network (www.bradleymanning.org) will begin accepting online donations for the legal defense of Private First Class Bradley Manning. The Network, a grassroots initiative formed to defend and support accused whistleblower Pfc. Bradley Manning, has partnered with Courage to Resist, a nonprofit organization dedicated to supporting military objectors. Manning, a 22 year old intelligence analyst stationed in Iraq, stands accused of disclosing a classified video depicting American troops shooting civilians from an Apache helicopter in 2007. Eleven adults are killed in the video, including two Reuters employees, and two children critically injured. The video, available atwww.collateralmurder.com, was published by WikiLeaks on April 5, 2010. No charges have been filed against the soldiers in the video. Bradley Manning faces up to 52 years in prison if convicted of the charges against him. While news sources have speculated about Manning’s involvement in a new leak of over 90,000 secret documents (collectively known as the Afghanistan “war logs”) made public by WikiLeaks on Sunday, no charges regarding this recent breach have been filed. As of this writing, Manning has not yet chosen a civilian attorney to defend him in the expected trial. While several news sources had previously indicated that funding for Manning’s legal counsel was already arranged, the Bradley Manning Support Network states that there is an immediate need for donations to his legal defense. Legal defense in this case will be particularly expensive because any legal team will most likely need a background in military law and the flexibility to travel overseas for the trial as well as secret security clearance. The Bradley Manning Support Network passed a resolution on July 12, 2010 to begin fundraising for Manning’s legal defense. At this time, the Network estimates between $50,000 and $200,000 in legal fees and expenses will be needed to mount a vigorous defense on behalf of Manning. They have also indicated that WikiLeaks, who published and promoted the Collateral Murder video, has promised a significant donation to Manning’s defense. Bradley Manning is the young man charged with leaking classified US military information – including the video of a US Army helicopter gunning down Iraqi civilians and Reuters journalists in Iraq in 2007 that was released to the world via the whistleblower website WikiLeaks as “Collateral Murder”. Bradley is now held in isolation from the outside world, in military detention in Kuwait. Bradley, who reportedly felt un-supported in life, faces – for his alleged actions – up to 52 years imprisonment. Could the fate of one young man have any bearing upon the fate of the world? What if the world abandons Bradley Manning and the cause of open, informed public debate he stands for? After putting his life on the line to provide the public with information he felt they deserved, the fate of Bradley Manning – who is said to have felt unsupported in life anyway – would be left in the dirty hands of the US military prison system for a substantial portion of his life. The wave of public outrage following upon WikiLeaks’ release of “Collateral Murder” would subside… and US war crimes would continue unchecked, unabated and largely unknown. Even WikiLeaks may fade into the background noise of a world where secrecy, deception and\ corruption are rife and crimes against humanity, the earth and the future proceed in hellish haste. What if the world Supports Bradley Manning and the cause of open, informed public debate? Global civil society would defend the actions for which Bradley Manning is charged [ie, the leaking of classified documents]; uphold the public’s right to know and demand the release of Bradley Manning and the dismissal of all charges against him: Bradley Manning would walk forth as a free man. The “greatest leak in 40 years” [according to Daniel Ellsberg, the man who in 1971 leaked the “Pentagon Papers”, thereby fuelling public outrage over the Vietnam War] would not fade into nothingness as mute testimony to humanity’s apathy and disempowerment, but rather would open wide the floor of public debate and awareness regarding issues of war and peace. Bradley’s iconic example and growing public awareness of the professional and secure service of whistle-blowing website WikiLeaks, would open the floodgate for a deluge of whistle-blowing – as individuals everywhere, motivated by the public’s right to know, leak secret documents and classified material exposing corruption, deception and crimes against humanity – and lead to public outcry for real change. Clearly, I’m hoping and working for the latter future scenario. And you? 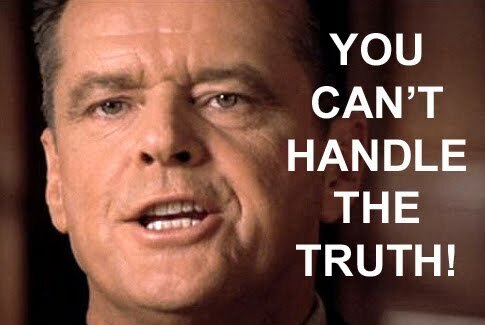 Noting how when there’s “one man in chains, none are free”, a friend comments: “Bradley represents the truth-sayer in us all – if we leave him there, we abandon our own inner calling for truth”. Katharine Dawn may be contacted through www.ec2012.org ,http://www.livingtogethernetwork.net. 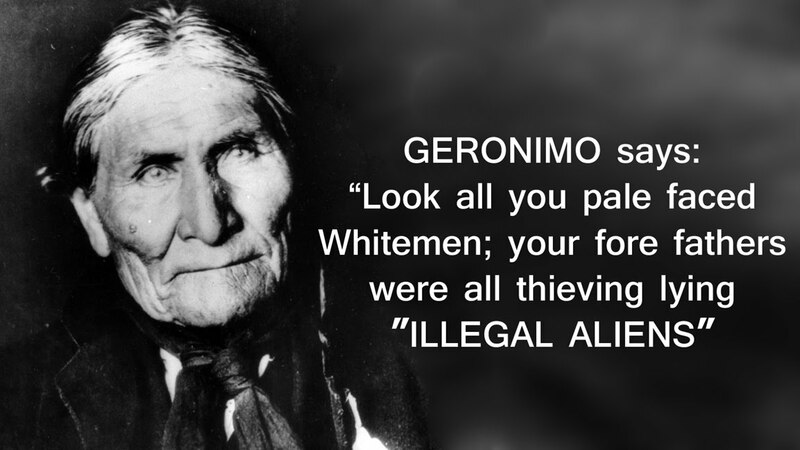 Her former article on this issue was “World History Before Our Eyes”. Online, A Huge Movement Has Sprung Up Demanding Bradley’s Release. [...] Online, a huge movement has sprung up demanding Bradley’s release. [...] Within days of Bradley being charged, 20,000 people visited the bradleymanning.org site. A petition started last month has already attracted more than 1,400 signatures. Jacob Appelbaum filled in Saturday for Julian Assange by making a keynote address on behalf of Wikileaks at the Next Hope hacker conference in New York City. Appelbaum’s inspiring talk includes discussion of how Wikileaks works, the successes it’s had in the past and its plans for the immediate future. Among other topics, he discussed how Wikileaks’ publication of documentation of the causes of Iceland’s banking crisis led to the creation of the Icelandic Modern Media Initiative, which promises to make the country a haven for journalism and transparency in the internet age. You can listen to Jacob’s hour-plus presentation online at http://drop.io/thenexthope_wikileaks/asset/ioerror-hope-wikileaks-20100717-mp3. Starting around 36:40 in the recording, he begins to address the case of Collateral Murder, Bradley Manning and the “journalist” who betrayed him — and who, according to the enthusiastic audience, shall henceforward have no name in their community. He also mentions bradleymanning.org, and has praise for the work in Manning’s support coming together here. Worth a listen, if you have the time. Florida attorney and Bradley Manning supporter James Cerveny wrote the letter below and sent it to the editors of a number of newspapers in Florida. Let’s hope it gets published. Letters such as these do not change public opinion or government policy overnight, but sustained campaigns have long used them as one tool in the kit that’s both cheap and potentially powerful. Bradley Manning, currently held in a military gulag by the US government, is an American hero. His “crime” was to release to WikiLeaks, a whistleblower website, a suppressed videotape of a blatant war crime in which US soldiers chortle with glee as they gun down unarmed civilians, including children. Manning has also allegedly released numerous diplomatic cables exposing massive corruption involving US officials as well as those of the puppet government we have installed in Iraq. The government, and Manning’s detractors, claim that the release of the video jeopardizes “national security.” This rings false, as the video is over three years old. Rather, the government is charging him under draconian laws, including a statute typically used in espionage cases, to make an example of him for embarrassing our ruling class and for breaking through the tight censorship that has been increasingly successful in shielding the American people from exposure to the harsh realities of our illegal wars of aggression. In case it hasn’t sunk in, the man was charged with espionage for revealing information to the American people that they should be entitled to have. This is what our “republic” has come to. Two “journalists” from Wired magazine (both convicted felons), using grossly unethical methods of selection and omission in writing their article, conspired with each other as well as the government to silence Manning and to smear him as a “traitor.” Not surprisingly, the substance of this Orwellian hit piece has been parroted unquestioningly by our sycophantic mainstream media. Readers desiring a balanced approach to the Manning story should read the excellent article by Glen Greenwald in Salon.com. 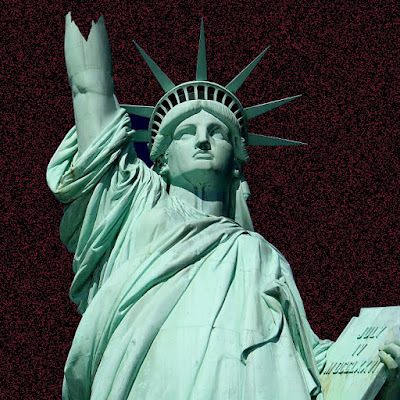 The actions of the US government in prosecuting Manning, instead of the moral cretins in the helicopter and their superiors, are those of a tyrannical state. The actions of our media in their “reporting” of the story are like those of their counterparts in North Korea. A report from the first IRC/teleconference meeting of Bradley Manning supporters coming together via this website and the mailing list. Interested parties, please note the next meeting, tomorrow (Thursday). Today we had our first official (and extremely successful) meeting of the Save Bradley Manning Campaign. I’m glad to report we have an talented group of dedicated activists working on this issue, and they bring together a whole array of experiences and skills. Here are some of the initiatives we will be beginning. Please review this list and think about which particular initiatives you would most like to contribute to. 1. Initiate Contact Team (Manuel) – Our organization has been unable to make contact with Bradley Manning. Manuel is spearheading the effort to contact Manning, make him aware of our efforts and find out if he needs anything. 2. Tech Team (Nadim)– We are very lucky to have a skilled group of tech geeks (I use the term lovingly) from around the world who will be ensuring that we have a secure, accessible site to exchange information and involve as many volunteers as possible on this campaign. 4. International Outreach Team (Charlotte, others) – We will be reaching out to peace groups and activist organizations internationally. 5. Social Networking Outreach Team (Rainey, Mike, others) We are coordinating a group of individuals to increase our social media presence and begin online events to support Manning. 6. Mailing List Moderation Captains (Several) – While the free exchange of ideas on the mailing list has been fun, it’s getting excessive. We’ll be putting 3 moderators in charge of the mailing list. There will be no spam or cyber bullying. We will divvy up the mailing list according to participation levels. End result: fewer complaints about too many emails. Please be patient with the mailing list for the next couple days while we get this ironed out. 8. Media Upload - We are establishing a secure mechanism for uploading media contact information so we can pool our resources prior to our first official press release. We’ll let you know when this is ready and where to securely upload your media contacts. 9. Writers Group and Editorial Board - We will be establishing a working group of writers to publish to our blog and press release. If you have been considering working on a story, please get started on it (or at least on a proposal) now and we’ll hammer out the editorial board to ensure quality and consistency at the next meeting. 10. Wikileaks Team – We have organizers who are going to interface with Wikileaks as needed. Wikileaks is not behind our organization; we are only concerned individuals who want to speak out. Our next call is in 3 days. It will be THIS THURSDAY (7/15) AT 8:30 PM EASTERN/5:30 PM PACIFIC. The conference call number is +1 (661) 673-8600, Participant Access Code: 974507#. **Please be sure to check your email prior to the call in case the call in instructions change. ** If you cannot attend, don’t worry and just try to make the next one. I will send around an agenda prior to the call. If you have items you would like added to the agenda, please let me know. 2. Start working on a blog post for our website or a Letter to the Editor for your largest local paper. 3. Tell 3 friends about Bradley Manning and urge them to sign the petition and fan our Facebook page. I am very proud to be working with this group. Please brainstorm about ways you can help spread the message. Two men of very divergent walks of life have been irrevocably connected on the stage of world history. One is 22-year-old US Army intelligence analyst, Pfc. (formerly SPC) Bradley Manning who allegedly leaked a secret video and classified military information to the whistle-blowing website WikiLeaks, was arrested by the United States Army Criminal Investigation Command in May 2010 and is currently held in US military detention in Kuwait facing numerous charges. The other is Julian Assange, the daring co-founder and prominent spokesperson for WikiLeaks. Dubbed by some as “the most dangerous man in the world” and by others as a super-hero of the truth movement, Julian Assange remains highly active despite having to step up his personal security measures since the Manning arrest so as to elude “prosecution or worse”. The leaked video, published by WikiLeaks in April 2010 under the title “Collateral Murder“, shows an American attack helicopter gunning down Iraqi civilians and a Reuters camera crew in Baghdad in 2007. Like a large stone thrown into a great pool, this significant leak is creating numerous and wide-ranging ripples. Ripple One: It has caused a wave of public outrage, internationally but particularly within the United States, over US militarism, demonstrating the power of leaked classified material to fuel civil activism for a more just and peaceful world. Ripple Two: A “Supporters of Bradley Manning” group has been started, bringing together a high power international team with skills and networks from independent media, law, IT and peace activism, furthering what were reportedly Manning’s hopes that the release of the videos and documents would lead to “worldwide discussion, debates, and reforms”. Ripple Three: Significant mainstream media attention on the combat video leak brought its publisher, WikiLeaks, into the limelight. As a result, the word is out. That there exists an international public service called WikiLeaks, run by a collective of journalists and activists, that web-publishes leaked secret documents and media. That WikiLeaks protects its sources (using the most sophisticated encryption technology and basing their operations in countries such as Sweden and Belgium which have strong source protection laws). That WikiLeaks invites anyone with access to classified or confidential material that rightfully belongs in the public domain to contact them. I’ve set up an email list for supports of Bradley Manning who want to get active in making a real campaign happen. Visit http://lists.bradleymanning.org/listinfo.cgi/supporters-bradleymanning.org and add yourself today! A quick analysis of the present charges against Bradley Manning. I’m not a lawyer, but I can read statutes. Mentions here of WikiLeaks and the identification of the video as “Collateral Murder” are my own interpolations. 1 Depending on the application of 18 USC §1030(c)(2)(B)(ii-iii), each of these charges might carry a penalty of up to 1 year instead. In addition to the statues linked above, some information taken from the Military Judges’ Benchbook (PDF), Department of the Army Pamphlet 27-9. SPECIFICATION 1: In that Private First Class Bradley E. Manning, U.S. Army, did, between on or about 19 November 2009 and on or about 27 May 2010, at or near Contingency Operating Station Hammer, Iraq, violate a lawful general regulation, to wit: Paragraph 4-6(k), Army Regulation 25-2, dated 24 October 2007, by wrongfully introducing a classified video of a military operation filmed at or near Baghdad, Iraq, on or about 12 July 2007, onto his personal computer, a non-secure information system. SPECIFICATION 2: In that Private First Class Bradley E. Manning, U.S. Army, did, between on or about 19 November 2009 and on or about 27 May 2010, at or near Contingency Operating Station Hammer, Iraq, violate a lawful general regulation, to wit: Paragraph 4-6(k), Army Regulation 25-2, dated 24 October 2007, by wrongfully introducing more than 50 classified United States Department of State cables onto his personal computer, a non-secure information system. SPECIFICATION 3: In that Private First Class Bradley E. Manning, U.S. Army, did, between on or about 19 November 2009 and on or about 27 May 2010, at or near Contingency Operating Station Hammer, Iraq, violate a lawful general regulation, to wit: Paragraph 4-6(k), Army Regulation 25-2, dated 24 October 2007, by wrongfully introducing a classified Microsoft Office PowerPoint presentation onto his personal computer, a non-secure information system. SPECFICATION 1: In that Private First Class Bradley E. Manning, U.S. Army, did, at or near Contingency Operating Station Hammer, Iraq, between on or about 19 November 2009 and on or about 5 April 2010, have unauthorized possession of photographs relating to the national defense, to wit: a classified video of a military operation filmed at or near Baghdad, Iraq, on or about 12 July 2007, and did willfully communicate, deliver and transmit the video, or cause the video to be communicated, delivered, and transmitted, to a person not entitled to receive it, in violation of 18 U.S. Code Section 793(e), such conduct being prejudicial to good order and discipline in the armed forces and being of a nature to bring discredit upon the armed forces. SPECIFICATION 2: In that Private First Class Bradley E. Manning, U.S. Army, did, at or near Contingency Operating Station Hammer, Iraq, between on or about 19 November 2009 and on or about 5 April 2010, knowingly exceed his authorized access on a Secret Internet Protocol Router network computer and obtain information that has been determined by the United States Government pursuant to an Executive Order or statute to require protection against unauthorized disclosure for reasons of national defense, to wit: a classified video of a military operation filmed at or near Baghdad, Iraq, on or about 12 July 2007, and did willfully communicate, deliver and transmit the video, or cause the video to be communicated, delivered and transmitted, to a person not entitled to receive it, with reason to believe that such information could be used to the injury of the United States or the advantage of any foreign nation, in violation of 18 U.S. Code Section 1030(a)(1), such conduct being prejudicial to good order and discipline in the armed forces and being of a nature to bring discredit upon the armed forces. SPECIFICATION 5: In that Private First Class Bradley E. Manning, U.S. Army, did, at or near Contingency Operating Station Hammer, Iraq, between on or about 19 November 2009 and on or about 5 April 2010, intentionally exceed his authorized access on a Secret Internet Protocol Router network computer and obtain information from the United States Department of Defense, to wit: a classified video of a military operation filmed at or near Baghdad, Iraq, on or about 12 July 2007, in violation of 18 U.S. Code Section 1030(a)(2), such conduct being prejudicial to good order and discipline in the armed forces and being of a nature to bring discredit upon the armed forces. SPECIFICATION 6: In that Private First Class Bradley E. Manning, U.S. Army, did, at or near Contingency Operating Station Hammer, Iraq, between on or about 13 January 2010 and on or about 19 February 2010, intentionally exceed his authorized access on a Secret Internet Protocol Router network computer and obtain information from the United States Department of State, to wit: a classified cable titled “Reykjavik 13,” in violation of 18 U.S. Code Section 1030(a)(2), such conduct being prejudicial to good order and discipline in the armed forces and being of a nature to bring discredit upon the armed forces. SPECIFICATION 8: In that Private First Class Bradley E. Manning, U.S. Army, did, at or near Contingency Operating Station Hammer, Iraq, on divers occasions, between on or about 19 November 2009 and on or about 27 May 2010, intentionally exceed his authorized access on a Secret Internet Protocol Router network computer and obtain information from the United States Department of Defense, to wit: a classified Microsoft Office PowerPoint presentation, in violation of 18 U.S. Code Section 1030(a)(2), such conduct being prejudicial to good order and discipline in the armed forces and being of a nature to bring discredit upon the armed forces. Leak of Afghan War Documents: Complete Coverage! Revolution: The Wrong Kind And The Right Kind? Rounding Up The Right News…The Right I Say!